Pest-Away Inc. | Pest control professionals for all your pest problems. Pest control professionals for all your pest problems. We offer programs tailored to your needs. Protect your home from unwanted pests. 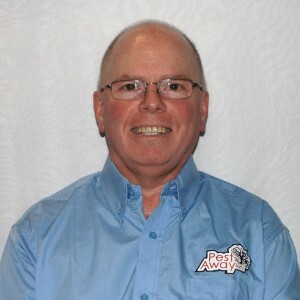 Pest-Away Inc. was established in Sarnia, Ontario in 1991. Our mission as a “Professional Pest Management Company” is to provide our clients with the highest level of pest control service at competitive pricing, and to provide a safe, quality Integrated Pest Management (I.P.M.) approach to all our customers, using the lowest-risk products possible. 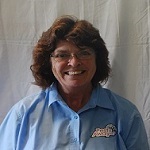 President, owner, and technician Mitch Gillings has over 35 years experience in the field. Technicians for Pest-Away Inc. are government licensed by the Ministry of Environment and are constantly upgrading their knowledge through industry-sponsored seminars and training programs. Pest-Away Inc provides tailor-made pest control services dependent on your circumstances and budget. From individual visits to long-term contracts, we are confident that we can provide you with an unrivaled service at a highly competitive price. Based locally, Pest-Away Inc. are able to beat any call-out time of the major pest control companies with any of our marked trucks. It’s always distressing to have unwanted visitors in your home, especially those of the pest variety. Pest-Away Inc provides cost effective solutions to your pest problem, plus prevention information for the future. We also provide pest control services for tenants in rental properties. Whether you have ants crawling in the door, or mice in your utility areas, Pest-Away Inc can provide you with a tailor-made solution to permanently rid your premises of your pest problem. From laying humane traps to putting down bait, our trained technicians have all the equipment and know-how to eliminate your unwanted pests. Farms and outbuildings can quickly become a favourite home for a number of unwanted pests, such as rats and mice. Experienced in the area of agricultural pest control, we can provide you with bespoke pest control services that eliminate your problem whilst leaving wild birds and animals unharmed. Warehouses and factories often provide shelter and food for a variety of animals, including rats and mice. Whilst being sometimes difficult to pinpoint nests and entrance / exit points for these pests, the trained eye of your Pest-Away Inc technician can help you identify problem areas and provide you with pest control services, tailor-made for your particular situation. 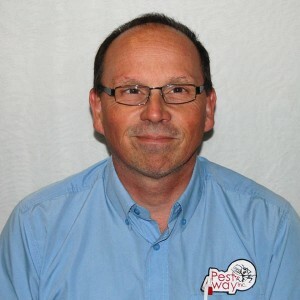 Click on each team member to learn more about the Pest-Away team. 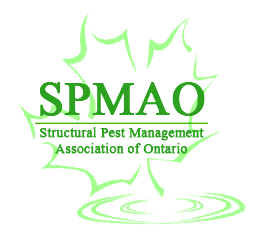 Pest-Away Inc. is a proud member of the Canada Pest Management Association. Check out their handy guide to identifying pests, along with a wealth of information about each one. 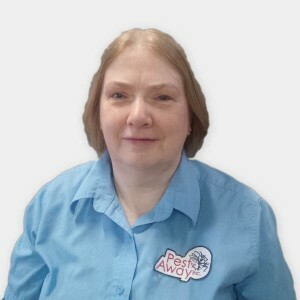 "I have been a customer of Pest-Away Inc. for the last several years. I really appreciate what a great job they do, and wanted to let you know how professional, friendly and very knowledgeable the technicians are." "From the first telephone call to Pest-Away, the whole process was courteous, efficient and affordable. Your no nonsense approach gave us absolute confidence in your company and we have no hesitation in recommending your services to anyone who is in need of pest eradication, in whatever form they appear." 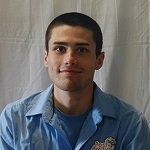 "Pest-Away Inc. has always provided Lambton College with a quick response, an efficient and courteous service, and I would have no hesitation in recommending their services to others in the area." Pest-Away is highly recommended . Mitch and staff do a great job in capturing "critters" without use of poisons. Beyond that,they go beyond the service that is typically provided by most of their competitors by doing an excellent job in identifying and sealing entry points for pests so that household problems do not recur. This "preventive" work puts them in a class above the rest." I would like to express my appreciation for the services provided to me when I had a family of squirls living in my attic. In particular, I was very impressed with your representative, Mike Cooper. I work for an engineering consulting firm and am an advocate of employee safety. I was home when Mike came with another employee. Before they started the job, they talked about their plan. In my business, this is equivalent to a task card. While they were executing the job they continued to communicate. They also used their personal protective equipment properly. It is very clear that Mike has excellent supervisory skills. He represents your company in a very positive way. Thank-you again for taking care of my problem. The contractor has sealed the hole where they were getting in and hopefully I will not have a problem again. But if I do, I know who to call. We accept Visa, Mastercard, Amex, and Debit. We are proud members of the Sarnia Lambton Chamber of Commerce.